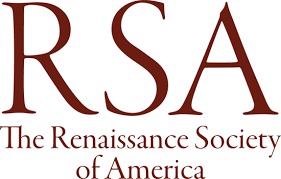 The Renaissance Society of America annual conference, held in New Orleans from March 22-24, features several presentations related to the field of Jesuit Studies. Summaries of some of the presentations appear below. — During the Early Modern age, the Society of Jesus was the religious institution that, more than any other, linked its reason for existence to the world of the book. The Roman Index of Prohibited Books (1559) presented a serious obstacle for those religious or lay institutions linked to cultural activities, since its rigor deprived them of their basic work tools. Within the Jesuits, two parties emerged: the first, at the Spanish colleges, adhered to a rigorous application of the Index; the second, linked to Italian and French environments, reasoned that the papal act could upset the pedagogical and cultural mission of the Jesuits. Through the examination of unpublished documents held at the Roman Jesuit Archive, this paper aims to analyze and explicate the strategies Jesuits conceived in order to become the only Catholic religious order authorized to read and preserve prohibited books in the age of the Catholic Reformation. — The library of St Alban’s English College in Valladolid is to our days a rare historical witness of a Jesuit space for learning. Since its foundation in 1589, the collection has combined volumes intended for study with those donated by students and staff, including its founder, Robert Persons. Thus, the book collection has contributed to shape the religious and missionary identity of English Catholic exiles at St Alban’s. Although the recusants’ purpose to reconvert England back to Catholicism was dear to the Spanish authorities, both their activities and –particularly– their books were under surveillance. The purpose of my paper is to examine the Inquisition’s control of orthodoxy at the library of St Alban’s: from the regular “visits” or inspections, and the permissions granted to read forbidden books, to complications faced when books were not in the index librorum prohibitorum or were in English, a language that inquisitors could rarely read. — The library at St Alban’s College in Valladolid currently hosts a unique combination of English and Spanish books, including a significant number of controversial handbooks and pamphlets. It is essential, however, to distinguish between those books available to seminarians while the College was under Jesuit governance, and later contributions made by the rectors of the post-Jesuit period in the late eighteenth century. My paper will focus on the library that the missionaries in training had at their disposal as can be seen from the inventories compiled at the time of the Jesuit Estrangement. The aim of this paper is to present the collection of Controversy literature hosted there under Jesuit headship, with particular emphasis on English books, and how they contributed to shape the identity of the College and those missionaries in training. — Jesuits were among the first globalists: their work was closely tied to the missionary impulses of the early modern period, and provide a good framework for globalizing history. I propose to discuss Jesuit college libraries in Tuscany, the Romagna, Spain, the Holy Roman Empire, and the Low Countries, focusing on one aspect the production, trade and collection of books by Jesuits. The creation and maintenance of libraries provided the basis for the spiritual and intellectual life of both teachers and students. The central organization of the Jesuits, and their attempts to create a well-educated global population of Catholics, provides insight into Baroque European views of the world. In this paper I will focus largely on the aspects of that endeavor which concern the travel and geographical literature in the libraries, seeking to demonstrate the importance of international, and inter-continental, texts in Jesuit college education. — Jesuits have been studied as agents in the expansion of the early-modern empires and as important actors in the political life of the Spanish monarchy. However, we know very little about how they mediated and represented the different interests of the Monarchy and the central administration in Rome. I will examine how local Jesuit actors in colonial New Spain reconciled their potentially conflicting identities as representatives of both these powers. Taking a vow of obedience to the pope and working in the territories of the Spanish crown made the Jesuits the agents of two great powers, whose interests over the New World often clashed. Thus in relation to the education and evangelization of their new subjects, there were confrontations between the central government of the Jesuits in Rome, and the Spanish crown. I intend to study the tensions between the two powers from an actor-based perspective: Nicolás de Arnaya (1557-1623). — Scholars have long considered Jesuit missionaries’ writings as the best sources of early Native American societies, and historians like Tracy Leavelle and Brett Rushforth have used Jesuit dictionaries of Native languages to reveal Native understandings of colonization and Catholic conversion. However, scholars have not considered the full range of these language sources, restricting themselves to a single dictionary, author, and moment. My paper addresses this gap by using multiple dictionaries of the Illinois language to demonstrate change over time within Illinois society, particularly in their gender and sexual systems. Through a close analysis of the dictionaries of Jacques Gravier, Pierre-François Pinet, and Jean-Baptiste Le Boullenger, I argue that the Illinois maintained their ideas and practices of sexuality and gender, including polygamous marriages and non-binary genders, despite sixty years of Jesuit missionization. This reading of multiple Jesuit dictionaries sheds new light on early modern Native worldviews. — In the seventeenth century China became part of the collective consciousness of Europeans, in large part due to the wealth of information printed in the pages of Dutch books, journals, newspapers, and pamphlets. Much of the content of this print-work was provided by Jesuit missionaries, who would play a defining role in not only opening China to the West, but also in shaping the European perspective through the missionary objectives found in these texts. I will argue that during the last decades of the seventeenth century, the European perspective on China can be traced through various types of publications, in which the rhetoric increasingly revolved around the Jesuit presence in Asia. The first stirrings of what would become the ‘Chinese Rites Controversy’ can be traced through these publications, each with content and meaning reflecting the authors involved, and also shaped by the expectations and wishes of the intended audiences. — As in other Jesuit missions in partibus infidelium, the missionaries sent to Mughal India produced of different types of knowledge on local geography, customs, politics, economy and languages. Although this information aimed to define proselytizing strategies, the Jesuits accounts on Mughal India were particularly relevant to the colonial interests of the Iberian powers. Missionaries stationed in Delhi, Agra or Lahore often acted as diplomats and privileged informers who regularly reported on every aspect of Mughal life. Some of these letters and accounts were published by the Society of Jesus, but a significant body of texts remained unpublished and circulated only in restrictive circles controlled by the Iberian Crowns and the Jesuit hierarchy. Based on this articulation between the proselytizing and political dimensions of the Jesuit missions, this paper will examine the afterlives of the Jesuit accounts of the Mughal Empire and their influence on early modern European perceptions of India. — Two unpublished Roman prints from the late 16th and early 17th c. stand out from an album of European engravings that belonged to the library of the Jesuit the Colegio de San Pedro y San Pablo in Mexico City by 1700: the Antonio Lafrery’s Mundus Archetypus (1574) and Giacomo Lauro’s Simbolica Descriptio (1609), for they present iconography, and biblical as well as classical quotes employed in Early Modern works on hermeticism, alchemy, kabbalah and neopythagorism. In this paper I will address the possible influence these hermetic, alchemical and kabbalah elements could have had in the missionary and educational labours of the Jesuit in New Spain. — Jephthah’s daughter’s lament, as set by Giacomo Carissimi, is one of the most affecting moments in seventeenth-century music. Its potential spiritual effects, though, are less fully explored. Given that Carissimi spent over 40 years as maestro di capella of the Collegio Germanico in Rome, it could be useful to consider this work within a context of Jesuit spiritual thought and practice. Both Jesuit school drama and the use of visual images to facilitate “composition of place” as defined in the Spiritual Exercises of Ignatius Loyola show an emphasis in participatory spiritual practices that can be usefully compared with Carissimi’s music, especially in the final section of the work, where the members of the chorus, representing the natural world, extend, then resolve the daughter’s lament, participating in her preparation for martyrdom. — Since Luther’s Theologia crucis (1518), the crucifixion became an even more crucial issue in theological discourses. Following the official decision of the Council of Trent (1562), Jesuits were extremely active in promoting a Catholic answer to the Protestants’ theses. They thus created archeological studies on the crucifixion, as seen in the work of Justus Lipsius (1594). After him, the fathers Bartolomeo Ricci and Pedro Bivero wrote illustrated manuals on the same subject (1608 and 1634). This presentation will analyze such conceptions of the crucifixion built within the Company, and also showcase their concrete impact. When, in 1597, twenty-six Christians were crucified in Japan, the Jesuits were at first reluctant to recognize the new martyrs. Their decision to finally embrace them must be understood in the context of their studies on the Cross, a fact that explains why we find Japanese martyrs in both Ricci and Bivero’s books. — In 1580, Peter Canisius journeyed to Fribourg in Switzerland with the official mission to found a new Jesuit college there. Sent by his superior into internal exile to a remote outpost of the South German province of the Society of Jesus, Canisius bloomed where he was unceremoniously planted. Always an energetic writer, Canisius aimed at invigorating Swiss Catholic culture by publishing the lives of saints honoured in Switzerland: Nicholas of Flüe (Brother Klaus), Meinrad, Beatus, Fridolin, Ida of Toggenburg, and finally Maurice and Ursus, military martyrs of the Theban Legion. The hagiographical texts express a confessionalized humanism, a conspicuous dimension of Canisius’ earlier writings, including his famous Large Catechism. His reverence for antiquity and insistence upon historical veracity served a confessional purpose. As he promoted the Catholic cult of the saints, Canisius took deliberate aim at its Protestant critics. — Unlike the medieval orders, the Jesuits were born from a union between spirituality and technology. This paper seeks to understand this paradigm shift through a contemporary one: the digital revolution. Today there are various apps that enable Christians, especially Jesuits, to perform parts of the Ejercicios espirituales, prepare for confession, and cull Biblical texts relevant to their particular needs. It could be argued that the intimacy of the telephone (we touch the screen, it vibrates in our pocket) is closer to the embodied spirituality of early mystics than the printed page. Similarly, the interactive interface may be closer to early modern engagement with holy texts, and presents some of the same issues of de-stabilization of hierarchy and authority. Instead of using a digital tool to access a past object, I use the digital paradigm to rethink the early Jesuit innovations in the relation between text, body, self, and soul. — The Jesuitical missio castrensis to the Army of Flanders was officially inaugurated in 1587. In the wider context of the reorganization of this Army for the Spanish reconquest of the Low-Countries, Alessandro Farnese supported his own confessor, the Jesuit Thomas Sailly, in his project of military mission. This mission was not an isolated initiative, but one of the missionary answers to specific needs of the Spanish Low-Countries. From 1587 to 1659, the missio will employ more than two hundred Jesuits: how did they cope with the model of the Tridentine priest in a context of war and violence? This paper will be at the crossroads of two different masculinity models: the sacerdotal and the catholic military one. Inquiring into archival sources from the Jesuit Flandro-Belgica Province (correspondence as well as necrologia) and Jesuit manuals for military chaplains, it will compare the performed masculinity of this group with recent studies on military masculinity. — The paper explores the relationship of a mid-17th Century Jesuit theologian (Théophile Raynaud), to gender. Raynaud was inordinately obsessed with defending a binary order of gender. By looking at the treatises that deal directly with this issue, as well as by contextualizing his relationship to the changing missionary framework, one can understand this obsession as a reaction to a shifting gender-relations environment. The issue is not merely the rise of a new female agency, but rather how this new female agency threatens the order of knowledge itself as well as the masculinity of the clerics who accept and foster it. In a time of high anxiety over masculinity, Raynaud cannot reconcile religious and social changes, and fears some form of exclusions of clerics from the world of men, thereby bearing witness to how religious evolutions redefined gender relations, for women as well as for men, in 17th century France. — Active in tenth-century Byzantium, Symeon Metaphrastes produced a multi-volume compilation of saints’ lives known as the Menology. To produce this omnibus, he relied on metaphrasis, the recopying of earlier works albeit supplied with updated information and a rhetorical burnish. Some may envision this approach as thinly veiled plagiarism. Instead, metaphrasis was perceived as being reverential to an account, while remedying its shortcomings. But it was rarely employed in hagiographical collections in Western Europe until the years after the Council of Trent (1545-63). In Spain, metaphrasis found expression in the local tradition of flores sanctorum (flowers of the saints). Looking at the Flos sanctorum by Jesuit Pedro de Ribadeneyra (1527-1611), it relied on this Byzantine approach to pool and draft saints’ lives, while also functioning as a celebratory shrine to the tenth-century hagiographer. — Diarmaid MacCulloch described the Reformation as “a debate in the mind of long-dead Augustine,” and every confession laid claim to the saint’s authority. This paper explores Catholic Augustinianism through the writings of the Spanish Jesuit Pedro de Ribadeneyra, whose veneration of Augustine strayed into imitation. Following Eusebio Rey, comparative reading reveals deep structural parallels between Ribadeneyra’s Tratado de la tribulación and the City of God. More explicitly, the Jesuit wrote his own Confesiones to recast his life along Augustinian lines. Analysis of the prefatory materials to Ribadeneyra’s translations of the Confessions, the Soliloquies, the Enchiridion, and the pseudo-Augustinian Meditations reveals the role he hoped Augustine might play in Spain, as well as his position vis-à-vis the saint. Beyond Ribadeneyra’s psychology, this mimicry contributes to the study of self-fashioning: from Stephen Greenblatt onward, the emphasis has been on the creation of new selves, leaving unexplored those who crafted identities after specific models. — Important scholarship of the last few decades has emphasized the messianic impulses that influenced Philip II. Philip’s best biographer, Geoffrey Parker, has suggested that those influences contributed to imprudent decisions that strained his far-flung empire. Such an analysis would have surprised some contemporaries. Had they believed Philip’s religious fervor was true, many would have thought Philip was a very prudent king. While he and many of his most vocal critics agreed on the basic premises of good (godly) kingship, they disagreed about whether or not the king lived up to those ideals. This paper explores this dynamic through the work of Pedro de Ribadeneyra at the end of Philip’s reign (1590s). By showing the thin line dividing good, pious governance and secular self-interest, Ribadeneyra emphasized the close proximity of salvation and damnation. His interventions had immediate political/polemical resonances and were meant to produce immediate results. — Historians of the spirituali movement have focused on major figures of the humanist circles in Naples, Viterbo and elsewhere, occasionally briefly mentioning others who crossed their paths. In writing a biography of Nicolás Bobadilla, I noticed his frequent appearance in places where the circles met, interacting especially with prelates involved with the movement (Morone, Pole). John O’Malley and Thomas McCoog hint that Bobadilla was sympathetic to the movement. Bobadilla studied Erasmus and was interested in humanist language studies a similarity with the spirituali. I have examined his extant theological works, and hope to demonstrate that he developed enough of a theology of justification to classify him in this camp. This confirms the existing circumstantial evidence surrounding his early assignments and interactions. It also helps explain the hesitance of fellow Jesuits to his presence at the Council of Trent, and for the intense animosity which occurred for many years after. — Adopting Levy’s Propaganda theory that ultimately broke down the myth of Jesuit collaborate identity, this paper discusses the global dimension of Jesuit architecture by focusing on three not well-researched buildings (Nantang, Dongtang, and Beitang) in early modern Beijing. Through synthesizing fragments, a reconstruction of these buildings will first be positioned into the center of debate. Issues such as the divergences between different visual representations, the possible sources used for building projects as well as the global/local network that enabled this architectural transfer will be questioned. By arguing that the design/typology of the Jesuit buildings in Beijing followed these built in Portuguese Goa, special attention will also be paid to the regional identity of Goan churches. This paper aims to question the previous scholarship on Jesuit architectural identity and emphasizes the impact of regional exchanges of knowledge, and the political practices of secular patrons on the designs of non-European Jesuit buildings. — After his death, St. Francis Xavier was initially known for being the first Catholic missionary to preach in Japan. As his reputation as a miracle worker grew, so did the geographic spread of his patronage. In 1622, his canonization bull referred to him as the “Apostle to the New People” and also the “New Apostle to the Indies,” not specifying East or West. After this, devotion to Francis Xavier in the Spanish Americas increased rapidly. This paper will examine the representation of Xavier as it developed in Latin America, far from his European origins and Asian mission activity, paying particular attention to how Latin American artists synthesized Asian and European sources to create Xaverian images. By examining the networks through which these images sources traveled, it becomes possible to discern an “imagined community” of devotees to Xavier in the early modern world, united by their veneration of particular Xaverian images. — The passionflower is arguably one of the most fascinating plants of the tropics. When it was first discovered by Europeans in South America in the late sixteenth century, it was soon named by Catholic missionaries after the symbols of Christ’s crucifixion that were seen to be contained in the flowering plant. It was only through the Jesuit development of a specific iconography in the first decades of the seventeenth century that broadsides showing this plant which was considered to figuratively represent the Passion of Christ became a popular sensation. After Spanish Jesuits had presented Pope Paul V with a dried plant specimen in 1605 and secured his support, the popularity of the image grew at an amazing rate.